Dr Geraldine Strathdee is the National Clinical Director for Mental Health, NHS England. National Clinical Director of Mental Health for England, Consultant Psychiatrist for Oxleas NHS and Visiting Professor at UCL partners. Dr Geraldine Strathdee is the National Clinical Director for Mental Health, NHS England, a consultant psychiatrist in Oxleas NHS FT, and Visiting Professor, Integrated mental health education programme at UCL Partners. For over 20 years she has held senior roles in mental health policy, regulation and clinical management, at national and London regional levels, and advises internationally on mental health service design and quality improvement, while working as a practising clinician. She has been involved in transformational large scale service development programmes, moving services from hospital based, to 24/7 home care and primary care models, in roles which have included: the Trust Director of Clinical services in Oxleas NHS FT (2005-2007), Director of Service development at the Sainsbury Centre for Mental Health and Senior Lecturer, UMDS (1995-1998). She was the National Professional Adviser in mental health to the Healthcare Commission and the Care Quality Commission (2005-2012). Her particular commitment is to the translation of policy and best practice evidence into front line routine clinical practice, empowering service users to reach their potential, and staff to maximise their time to care. Dr Strathdee is passionate about the development of leadership competencies and using information to enable informed decision-making. 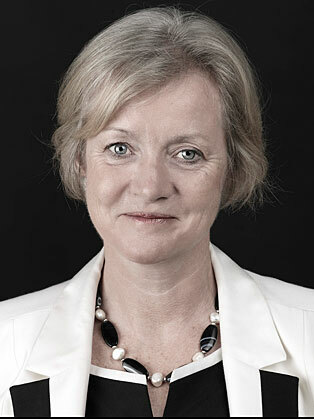 As London SHA Associate Medical Director (2009-2013), with responsibility for mental health, she led transformational change through the development of clinical networks for dementia and primary care mental health CCG leaders, developed ground breaking commissioning support care pathway profiling informatics tools, and high impact educational programmes. She was awarded the prestigious RCpsych Psychiatrist of the Year award in 2012.